DETROIT (Reuters) -- Ford Motor Co. expects to sell its Edge midsize crossover in global markets -- including China -- when the car is redesigned in early 2015, two sources familiar with the automaker's plans told Reuters today. Ford last year announced plans to sell the Edge in Europe, but the plans for China now are emerging. Ford will build versions of the new Edge in North America and China for local customers, according to U.S. automotive suppliers familiar with the program. For the European market, the Edge would be imported from North America and sold in Ford's European showrooms alongside the redesigned S-Max and Galaxy. The Edge, the S-Max and the Galaxy will all share a common architecture, known inside Ford as CD4.2, according to suppliers, and all three are slated to go into production about the same time. In the United States, the new Edge is expected to go on sale in spring 2015 as a 2016 model, suppliers said. Neither the new S-Max nor the new Galaxy will be sold in the United States, a Ford spokesman confirmed. Regarding the convergence of the three vehicles on a shared platform, Ford said, "We don't comment on rumor and speculation regarding future products." On Tuesday, Ford previewed a concept version of the new S-Max that will be displayed next month at the Frankfurt Auto Show. The new Edge and the new S-Max have been developed simultaneously, according to U.S. supplier sources, and share the same engineering program code, CD391, used by automakers and suppliers. While their underpinnings are similar, the two vehicles will look different both inside and outside, sources said. The new Edge and the new S-Max "will not be mirror images" of one another, as Ford's Escape and Kuga utility vehicles are, one source said. The 2016 Edge will be wider and taller than the S-Max, but will be fitted with just two rows of seats. The Edge will have more rugged styling cues and be aimed at utility-vehicle buyers in both Europe and the United States. The new S-Max will get three rows of seats and be targeted in Europe toward a different audience, including young families shopping for a multipurpose vehicle. 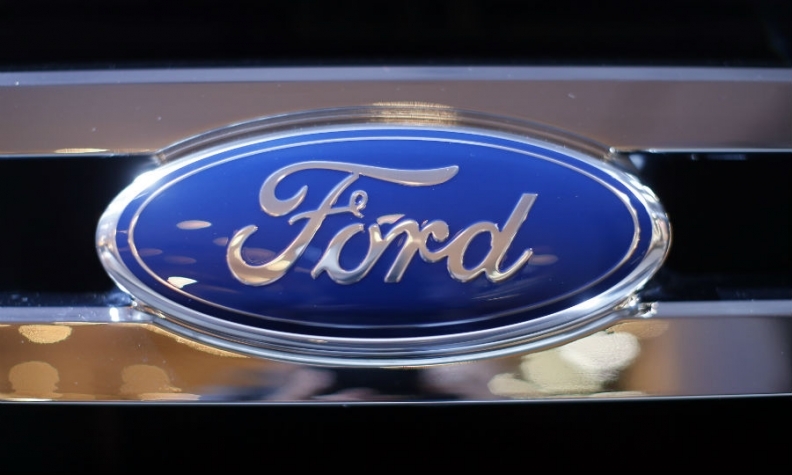 For more on Ford's future product plans from Automotive News, click here.